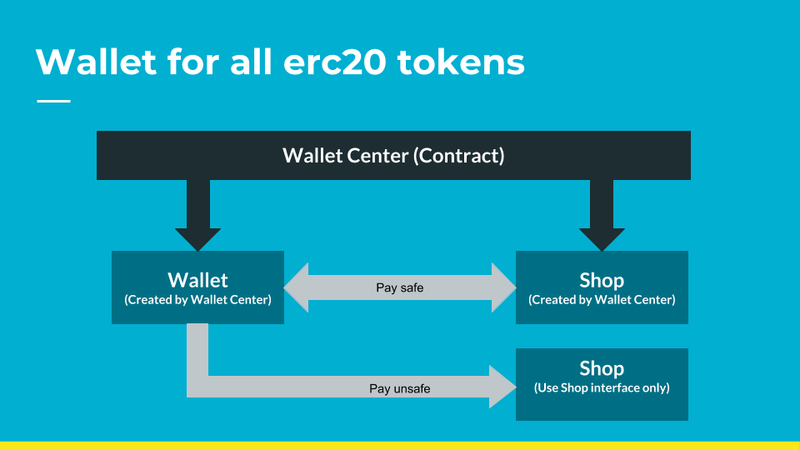 Make wallets and shops created from certified contracts make erc20 tokens easy to use for commerce. The mutual trust between the wallet and the shop created by the authenticated contract allows you to pay for and purchase items at a simple process. New standards with improvements have been released, but the majority of tokens currently being developed are erc20 tokens. So I felt I needed a proposal to use old tokens in commerce. To use various erc20 tokens for trading, you need a custom contract. However, a single wallet with a variety of tokens, and a mutually trusted store, can make transactions that are simple and efficient. The erc20 token is traded through two calls, approve (address _spender, uint256 _value) and transferFrom (address _from, address _to, uint256 _value), but when using the wallet contract, paySafe (address _shop, uint256 _item)will be traded only in one call. And if you only reuse the store interface, you can also trade using payUnsafe (address _shop, uint256 _item). Create wallet contract and add to list. Returns the address of new wallet. Returns true or false value for test this address is a created by createWallet. Create Shop contract and add to list. Returns the address of new Shop with erc20 token address. Wallet must be created by wallet center. Returns the account balance of Wallet. withdrawal _value amount of _erc20 token to _owner. Pay for safe shop (created by contract) item with item index _item. Pay for unsafe shop (did not created by contract) item with item index _item. Refund from shop with item index _item. 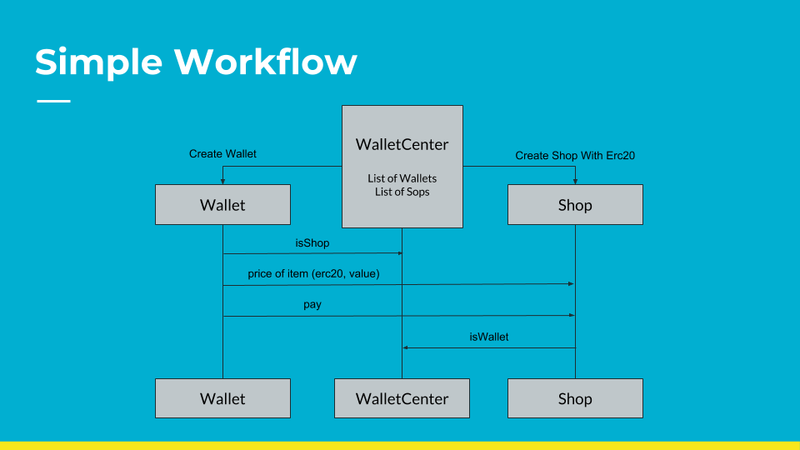 Shop is created by wallet center or not. but Shop that created by wallet center is called safe shop. Returns the account balance of Shop. Pay from buyer with item index _item. Get token address and price from buyer with item index _item. _who is buyer of _item. Up vote for this shop. Down vote for this shop. Get shop token, up vote and down vote. Up vote for this item. Down vote for this item. Get Item price, up vote and down vote.